When I was a boy I kept many species of tropical fish successfully and bred them too. I used to read books and magazines on the subject and saw exotic species of killifish like the Argentine Pearlfish (Cynolebias bellottii) and Gunther's Nothobranch (Nothobranchius guntheri) but they were never in any of the shops in South Wales and the books described them as only suitable for specialist fish-keepers. I always dreamed of one day keeping such fish but for the time being gave up on it. Many years later in the '90s I found out about the British Killifish Association and joined it for a small annual fee. Being a member entitled me to issues of the BKA Journal Killi News and to buy and exchange eggs and fish with other members. Now before I go any further, I had better explain that the reason many of these fish are regarded as for specialists only is because of their very unusual life-cycles and reproductive habits. Many killifish come from parts of tropical Africa and parts of South America where temporary pools are formed in the rainy season but then the waters dry up in the months of hot sunshine that follow. Killifish known as "substrate-spawner" and "annual" types have evolved a means of ensuring their species' survival when the waters they depend on are gone. The fish grow from fry to adults at a very fast rate and become sexually mature young. The females lay their eggs in the sand and mud at the bottoms of the ponds and water-courses they inhabit and in some species both the male and female actually burrow into the substrate. The eggs have special toughened eggshells and when the water dries up they remain buried waiting for the next rains. Their parents perish when the water dries up and many types live only for a period of several months in natural habitats. Often the male killies are really colourful with reds, blues, greens and yellows on their fins and bodies and are some of the most beautiful fish in the world. 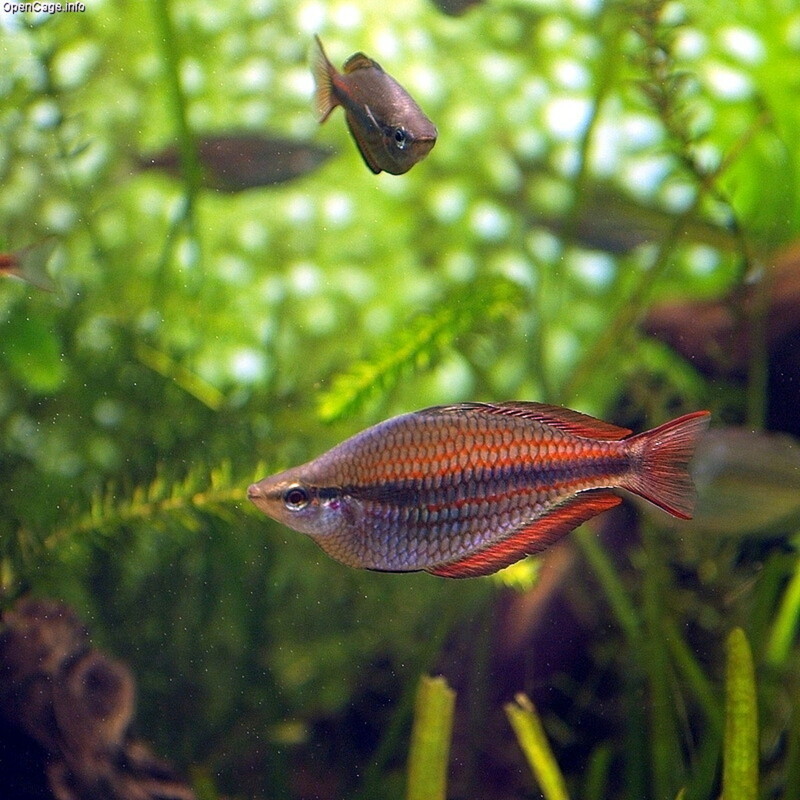 The females by contrast are usually a brown or other drab colouration and with little colour if any in their fins. Of the annual species the Aphyosemions, Nothobranchius and Cynolebias species are the most commonly kept in captivity. The first two families are distributed in Africa and the Cynolebias species are found in South America and are often known as Pearlfish because of the pearly dots and markings on their bodies and fins. Some of the Aphyosemions are commonly known as "Lyretails" because of projections on their tail fins but not all the species in this genus are annuals or substrate spawners. Many types that live naturally in permanent fresh water habitats lay their eggs in water plants. Some species such as A. gardneri are able to spawn in both ways depending on conditions and they also have colour variations. 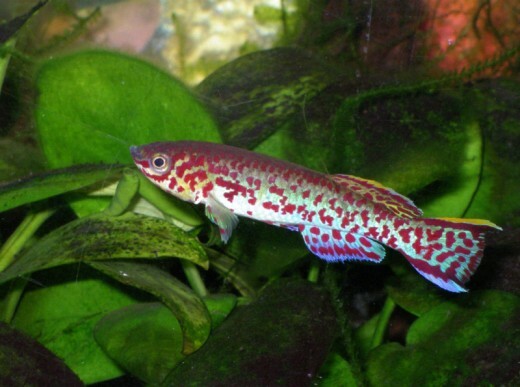 Many killifish are very endangered in the wild due to their specialised habitats and often because they only live in a small area so if roads or other developments take place it means the end of where they live and breed. Because of this killifish-keepers can be helping in the conservation of such species. In America the Devil's Pupfish (Cyprinodon diabolis) is confined only to a cavern and water in Death Valley National Park where its numbers go up and down and are in danger. Some species of killies such as some types of the Fundulus family live in brackish water as do the Aphanius killies that are found in Southern Europe and the Mediterranean areas. 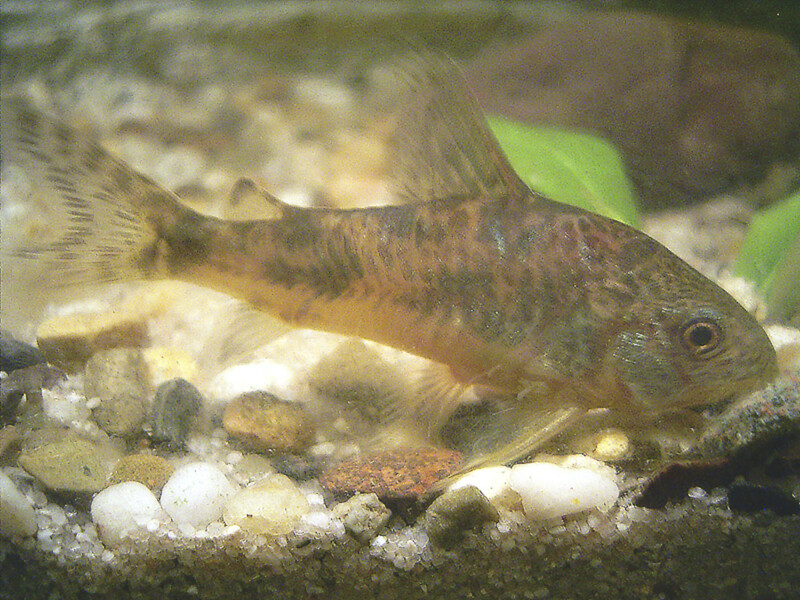 Both Fundulus and Aphanius are normal egg-layers that live in waters that are permanent. Because killifish eggs of the bottom-spawners need to be kept semi-dry to ensure they develop properly it is possible to send them through the post or otherwise exchanged with the eggs kept in peat. Adult fish have also been mailed in special "fish-box" polystyrene containers to help keep the warmth in. When I joined I ordered several species and was really excited to get my first pairs of killies delivered by the postman. 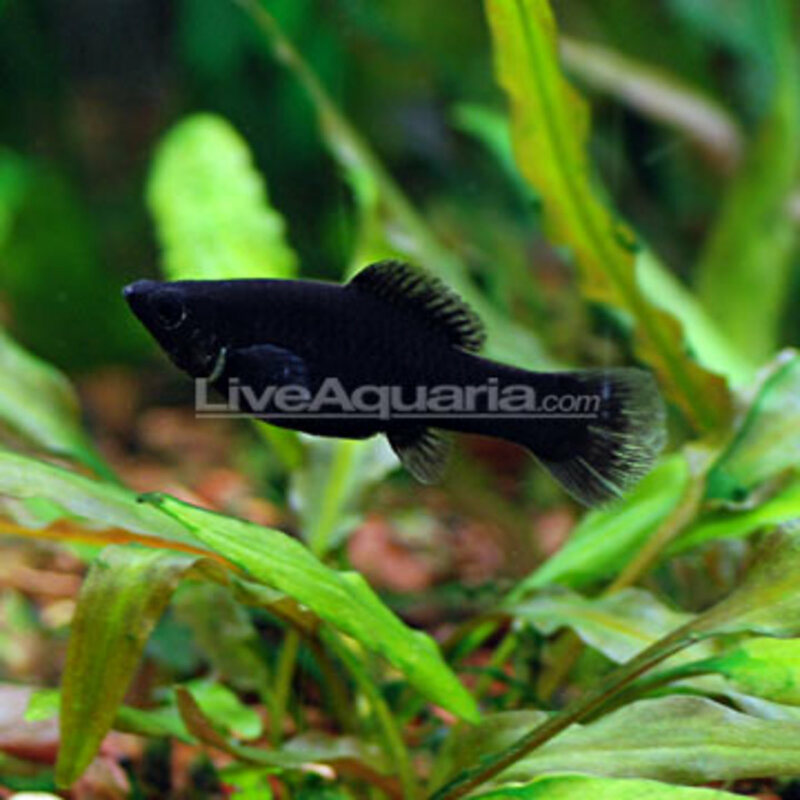 I remember having the large Aphyosemion gulare as one of the first types I kept an bred. I sold and exchanged species I had with other killi-enthusiasts and remember getting some funny looks at the post office when I took boxes of fish to be sent through the Royal mail. I found keeping and breeding them surprisingly easy though and A. gardneri were easier again. In fact, I had so many of this species at one point that I tried keeping some in water containers and in a pool out my back garden in summer and they did fine out there in Cardiff in Wales. As the eggs of the annual types get nearer to hatching time the eyes develop and can be seen through the semi-transparent eggshells. This is known as "eyeing up" to killifish keepers. Around the due time they are expected to hatch you simply put the eggs and the substrate that has been holding them into water at a suitable temperature and often it is possible to see baby fish hatching within minutes. The fry need tiny live food to feed on and the Brine Shrimp (Artemia salina) are a staple food offered to the little fish. The baby Brine Shrimp are hatched out in salt water and are gobbled up fast by killi fry that grow rapidly. Most killifish eat live foods only and so a constant supply of mosquito larvae. Daphnia. Bloodworms, Tubifex etc is a must if you wish to be successful with these fascinating fish. 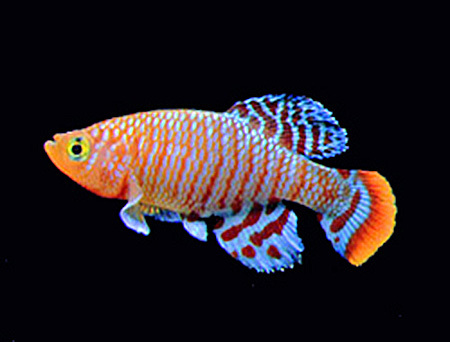 Some killifish breeders specialise in one type such as Nothobranchius and have fish-houses or rooms devoted to housing their collection. Some types of killies have aggressive males and cannot be kept with other males. Many species drive the females constantly so the females need plants or other shelter and space to get out of the way of their amorous suitors. Besides peat being used for killifish to spawn in "spawning mops" made of wool or other fabric can be used for the non-bottom layers. The subject of killifish is a very fascinating one and this has just been a short introduction into the lives and habits of these amazing fish. If you would like to find out more please click on the links that I have provided. I just reminded myself of Septimus Signus from Skyrim when I read this pub. Lol, I use a computer-ward device to access the internet. You guys know what I'm talking about! Many killies are very easy to breed but you have to store the eggs and wait for them to develop and you do need live food for the babies and adults. They would be tough to breed. I would have never imagined to go to Death Valley for a fish. Interesting hub. You're welcome, GW! I don't keep them now because where I live isn't really suitable but I enjoyed keeping them in the past.